Salvation And Survival: I Can Be Silent No Longer! I Can Be Silent No Longer! For a few weeks now, I have had my suspicions about the truth behind the Benghazi, Libya debacle, but was reluctant to spread rumors or theories. But as of yesterday, the lid has been blown off this scandalous betrayal of true American heroes. The father of slain Navy Seal, Tyrone Woods, has come forward to reveal facts that the White House (and I believe, the media) has concealed. This is not a knee-jerk reaction from a grieving father. Charles Woods took his time before deciding that his son's death could not go unanswered. Our special operations warriors are intensely honorable men, and I'm sure Charles Woods wanted to proceed in a manner that would show respect for his son. By now, you must be aware of the facts that are coming to light: 1) Ambassador Stevens felt that he was on an Al Queda "hit list", and let it be known that security was not adequate; 2) There is a still-evolving storyline that indicates the U.S. is involved with supplying arms to Al Queda affiliates in Syria to topple Assad; 3) As our Al Queda go-betweens in Libya began their attack on the safe house, there were three requests for military back-up. Former Navy Seals Woods and Dougherty, arrived as part of separate groups to try and rescue Ambassador Stevens and Sean Smith, even though they were told to "stand down"; 4) Those requests were never answered, as the White House watched the attack in real time from a drone that flew overhead. 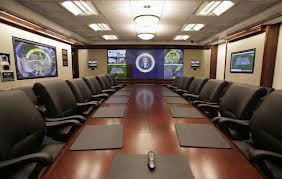 Regardless of the chain of command .... from the CIA annex to Langley to the Department of Defense .... it all ends up in the Situation Room at the White House. No excuses! This is nothing less than a bungled nightmare; a demonstration of incompetence, and a supreme lack of leadership. And I am indescribably angry! Where was the Commander in Chief when the men, who take their oath of service so seriously, needed him? I know my opinion won't have any effect on this situation, but I am keenly aware of the sacrifice our military makes to keep this country safe and the best in the world. I believe in them and honor their service, and I am just so outraged that those who were in command failed them. AND THEN THEY LIED TO US! My knowledge and experience is inadequate to understand all the facts and details of how such an operation would go down. 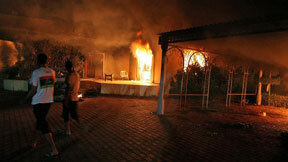 But it is becoming quite clear that it was a fiasco; totally mismanaged and it cost the lives of four Americans. But rather than me continuing with my indignation, I would like to share a concise and appropriate essay by someone who has the experience to know how this situation should have been handled. 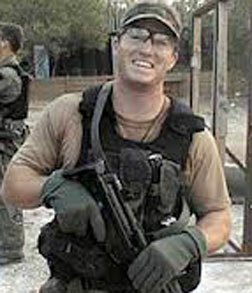 Matthew Bracken is a former Navy Seal, who has written a series of popular books about the decline of America. He has written a biting post on Western Rifle Shooters Association that lays the blame squarely at the feet of the White House. No apologies, just the facts! You need to realize this: our military did all they could. They swung into action; into "crisis contingency plan mode" and were ready to respond with Delta Force, Marines, planes and ships to perform the necessary rescue mission. But it would be classified as a "cross-border hostile mission", and only one man can give a "Go!" to that order. And an answer never came. As Bracken expresses so sharply in his article, "But no order came. And then none would come..... While his ambassador was off-radar, missing, possibly being dragged down a Benghazi street or even raped... POTUS went to bed. That is the greatest scandal of Benghazi. The POTUS slept through it, while all around the world, military forces were poised for the Raid on Entebbe or any other damn thing the POTUS ordered them to do. (And they were raring to go, believe me.).... God help us. So don't take my word for it. This man knows what he is talking about. Read his article! I guess what makes me so angry, and incredibly sad, is that Tyrone Woods and Glen Dougherty displayed remarkable honor, decency and character by ignoring orders to "stand down" and went to the rescue of Ambassador Stevens; upholding their oath to serve and protect. And those who are in charge of leading these principled men have shown nothing but cowardice; unable to be honest with the American people and lying to cover up their immoral behavior. It's time to stop the lying. It's time to do right by those who sacrificed their lives for America. I pray that honor can be returned to our land and to our leadership. As Matthew Bracken so eloquently expressed ..... God help us! Final Thought: If you are a faithful reader of this blog, then you know my opinion on the judgments that have come against America due to the decisions made by our government. Could the coming "Perfect Storm" that is ready to slam into the East Coast be God's reaction to the indefensible position our leaders took in Benghazi? After all, the storm is right on track to strike Washington D.C. Something to think about! Psalm 3:35 "The wise inherit honor, but fools get only shame." Just my two cents here. I just want to say I'm very, very thankful for our military men and women and for the sacrifices they make daily for us in more ways than the average US citizen would know. My next thought-feelings are this. Personally, I would never want to be in the military today under this administration that we currently have with this sort of mindset that they could care less about these troops. It is truly suicide! We need a strong force as well as strong leaders, the latter not the case today. There's no point of having these troops out there if we're not going to use them in a proper way and consider their safety and protection. My heart goes out to these families who lost their loved ones and friends in this mess. I am greatly sadden by this, but I am also very angry with our indifferent leaders that do nothing to put a stop to this and the icing on the cake is, they're a bunch of lying thieves of people's lives and are only interested in their own agendas as to where they want this country to go. If this doesn't open up their eyes, nothing will. Just the moral issue of this disgusts me! You know, if people don't wake up to what our government is doing and how they lie about so much to the citizens in this country, we are due to be judged by going along with it. I don't want this kind of blood on my hands and for those that don't mind because they have no one personally who would be affected by it in the meantime, then they're judgment is quickly to show what is in store for them soon. Parents, wives and friends, think of what we're asking for our troops to do and where they're being placed without the help of us to make sure that they're being cared for and kept as safe as we can make it for them. We NEED TO DEMAND IT and keep in mind, maybe your son, daughter, husband will be forced someday to be in our military and is this how you would want them to be treated? Just give that some thought and put those "shoes" on for a while and maybe you might consider getting more involved and making sure those that are responsible for this are made to be responsible for their actions. Somehow we have forgotten that the government is NOT suppose to be over us, but are to be working for us (we do pay them with our hard earned tax money, right?) and for our good as a people of this country. I'm with you on the Bibical stance. We will definitely be brought to our knees soon because of the decisions that we've let the government make that were not of God's liking. If you don't listen, then we're gonna have to feel! We've made our bed, therefore we will ly in it. These statements I'm saying are coming from someone who was a military officers wife in the past. So, I do know something about how it feels. Lisa, I feel your passion and your anger...something I share! Thank you for giving us your perspective and your wise words. I hope your comment is read and taken to heart by everyone. And thank you for having the courage to speak out! We've stayed silent too long!!! One of the tracking models shows that the D.C. is dead center for the storm. i would say those people need to start praying and asking for forgiveness, but I'm not sure many of them know what it's like to talk to God! My youngest son is in the navy and my oldest grandson is in the Army, both are in harms way right now. This administration just cut their hazardous pay duty. Apparently Obama feels their lives are only worth $7.50 per day. He also wants to cut their health care benefits because after all it's a volunteer job. I feel as you do Belle that this storm could very well be judgement. To have so little regard for the men and women who risk their lives for our freedom is beyond disgusting. I too am at a loss for words. I spend a part of each day in special prayer for our military and for our country. May God's grace be upon those who fight for freedom. They're in my prayers, too. I can't stand Obama. But I caution on the hazard pay: if you want to be irritated at anybody, put that one on GEN Dempsey. In fact, my personal and professional opinion is that GEN Dempsey may be looking for new employment in the very near future. I spent a few decades in uniform. And a few of those years around a lot of SEALS. One of their core tenants was to leave no comrade behind. The events in Benghazi run totally counter to this. There will be more to come out. Our military will always obey our civilian leaders - it is our oath. But our military will NEVER allow itself to be betrayed by our leaders in such a way as it causes a loss of faith in our comrades and failure to support and defend the Constitution. This isn't over yet. There will be an accounting. I will add your son and grandson to my prayers. I don't even need to know their names ... God knows who they are and knows what is in my heart. It is beyond disgraceful to treat our warriors and heroes this way! May God have mercy on the United States of America!